Waxing your paint, watching for overheating, keeping the fuel tank full, and turning the A/C off in very hot weather will help keep your car happy. Although winter is generally regarded as the hardest, most demanding season your car is subjected to, summer is no picnic either– at least not for your car. 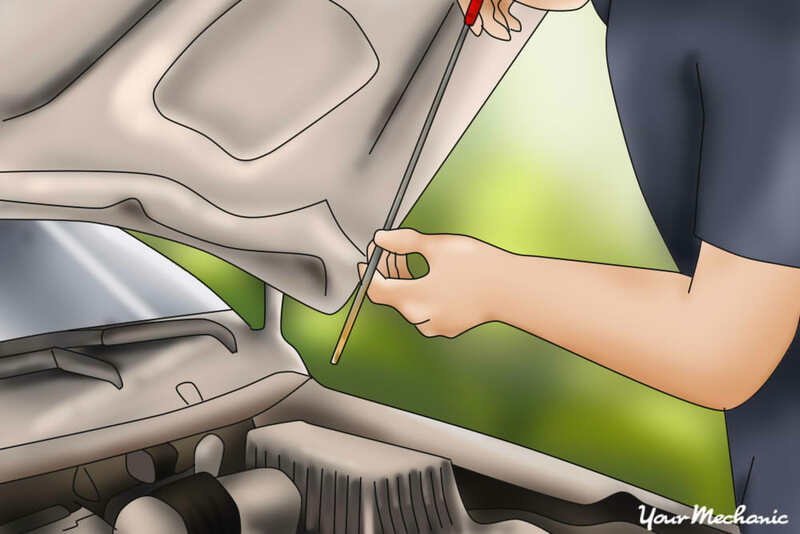 Below you'll find a list of things you should and shouldn’t do concerning your car, to help ensure both you and your vehicle have a safe and trouble free summer. Cars today are sold as having “lifetime” coolant, which is sort of a misnomer. Although today's coolants last much longer than those of the past, they still have a limited service life. The problem is that coolant breaks down over time, losing its lubrication properties, increasing the freeze point, and becoming more acidic. No coolant should ever be expected to last the lifetime of the vehicle, unless the life of the vehicle is expected to be pretty short. Some of the major auto manufactures backpedaled slightly on the lifetime fluids thing, specifying later that lifetime fluids should be changed at 100,000 miles. Changing your coolant every 4 years or 50,000 miles is a much safer bet to ensure your engine doesn’t suffer cooling system problems in the future. You can have a coolant flush performed by a qualified technician, such as one from YourMechanic. Temperature gauges in vehicles have become like spare tires; completely absent from many newer vehicles. If your car does have a temperature gauge, be sure to check it occasionally while driving, especially when driving in very hot conditions. 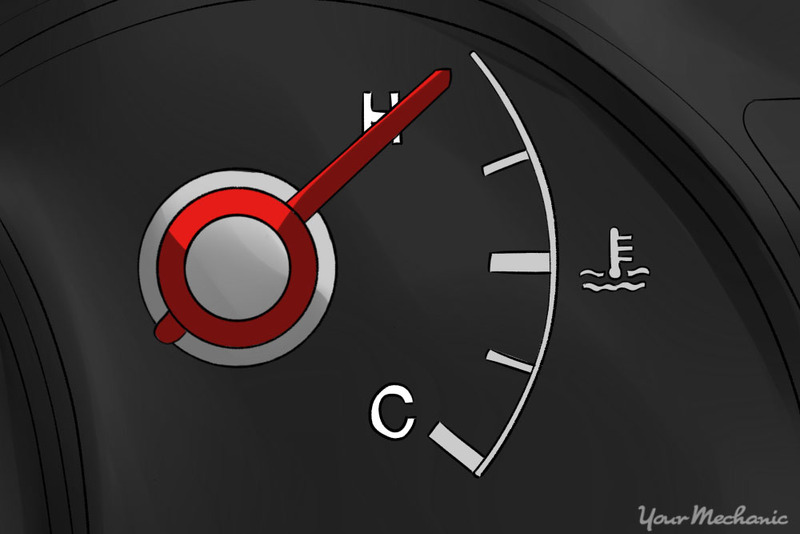 If it doesn’t have a gauge and instead relies on a light, be sure to pull over immediately if and when you see that coolant warning light start to flash. One of the most effective ways to keep your car cooler is to use a windshield sunshade. 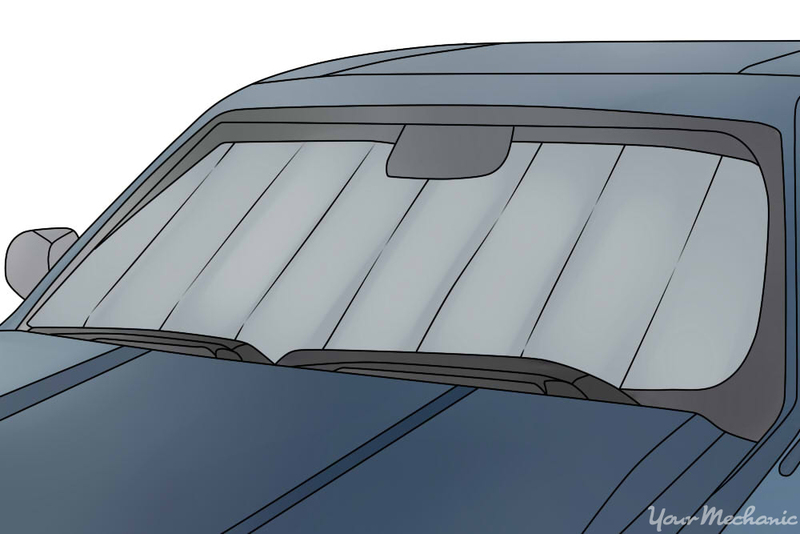 They get placed inside the car against the windshield, and have a reflective surface that faces outward to deflect the sun rays and the associated rise in temperature. They will also help protect your dash from harmful UV rays and heat damage. On the topic of reducing in car temperatures while parked, leaving your windows open slightly is also a great way to reduce the temperature by a few degrees. It still gets incredibly hot inside, but every little bit helps. It also helps to vent odors that may build up from things left in the car. It’s a good idea to give your car a wash and a good coat of wax at the beginning of summer, to protect the paint from the summer heat. Even if you live in drought stricken areas, there are ways to wash your car with very little impact. Many car wash and detail businesses also offer a low water wash option. Tire pressures should be maintained throughout the entire year, but during the summer months, ideal pressures may change slightly. The higher temperature of both the pavement and the air will lead to higher tire temperatures, which increases pressure. Check your tire pressure often to see what works best for you, and monitor for abnormal tire wear. Checking your oil level should be done year round, but it’s especially important in summer months when everything is hotter. Modern high quality, multi viscosity oils have eliminated the need for different oils in winter and summer. Although your engine is cooled using the cooling system, the oil also helps regulate the engine temperature somewhat, and if the level gets low the oil temperature can climb too high very quickly, causing it to degrade and thin out, losing its lubrication properties. Off the shelf interior protectants work great to provide a layer of protection for your dash, and help to keep it from drying out and cracking. If you prefer a more natural approach, you can use a light coat of mineral oil to do the job; just be sure not to apply any protectant to the steering wheel or shifter, as they can become very slippery after application. Even with the windows cracked open, on a 90°F day, the interior temperature of a car can reach 140°F. 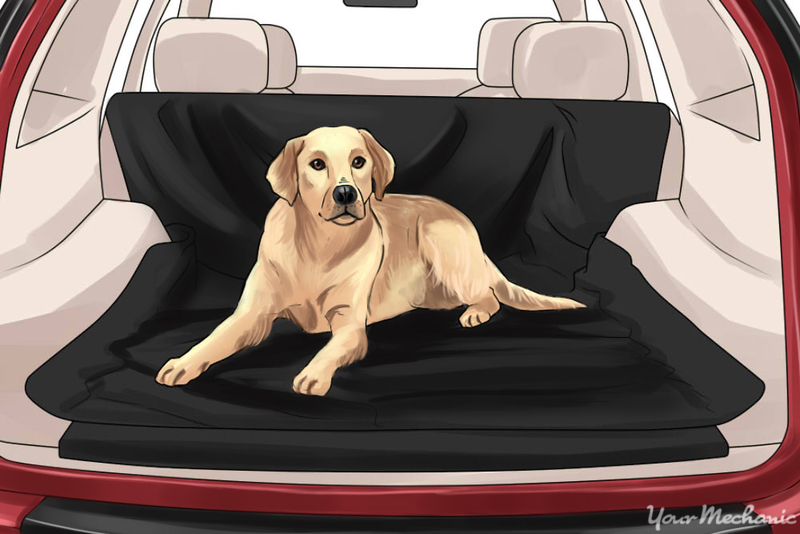 Dogs are unable to sweat, they are covered in fur, and they are unable to open the car doors to get out and cool off. Many pets die each year from being left in the car on a hot day, so please, leave them at home where they will be safe from the heat. I know this seems unfair, but when driving in extremely hot conditions, such as across southern California or Arizona in the desert, don’t use your air conditioning. The air conditioner puts extra load on the engine, and can lead to overheating the car, potentially leaving you stranded. Winter tires are great for their intended purpose, which is driving in the winter. They do so well because they're made of a much softer tread compound that stays soft in cold weather, allowing the tire to get better traction. They also have smaller tread blocks with more siping, to disperse snow and water without hydroplaning. The same qualities that make them very good winter tires, also leave them vulnerable to accelerated wear and poor handling in summer conditions. It’s best if you can have two sets of wheels and tires; one with winter tires and one with summer or all season tires. 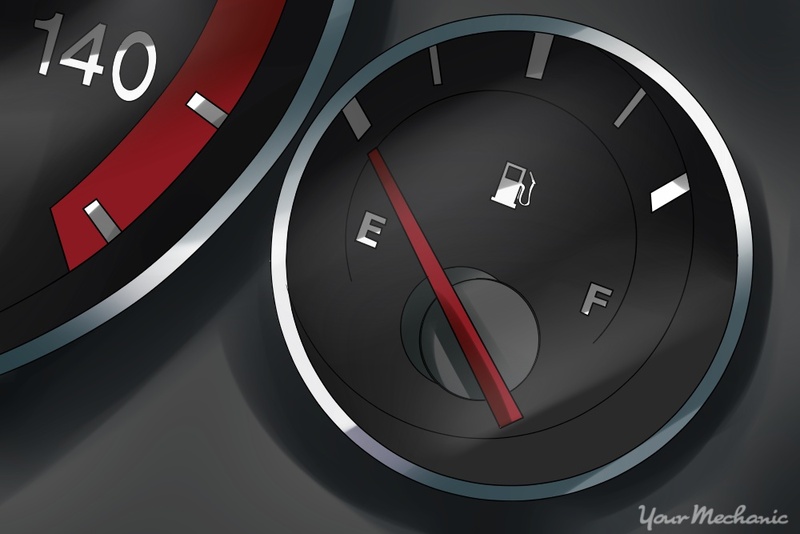 Most modern vehicles have the fuel pump located inside the fuel tank. It relies on being surround by fuel to keep the pump motor cool. When fuel is run very low, the pump has no fuel surrounding it, so it is susceptible to overheating the pump and premature failure. When the outside temperature is high, this effect is accelerated, and can lead to even earlier failure of the pump. With how hot the inside of a parked car can get, it should be common sense not to leave any food items in the car. Best case scenario, it spoils or otherwise ruins your food. Worst case scenario, it causes sugary drinks to explode or melted foods to make a mess of your car’s interior, and you may have the smell of spoiled food stuck in your interior for a long time. If you do wind up with some funky smells in your car, follow this guide to try getting them out. Single use plastic water bottles are the bane of our existence. Of the 50,000,000,000 (yes that’s 50 billion) purchased each year, over 80% of them end up in landfills, even though they are completely recyclable. They can also be bad for your health; if you leave them in your hot car, the plastic bottles can leech chemicals into the water you would be drinking, which can cause serious health concerns over time. Better to just buy a nice reusable bottle, and carry it with you all the time. Q: Is it a Good Idea to Get Oversized Wheels and Tires for My Car or Truck? 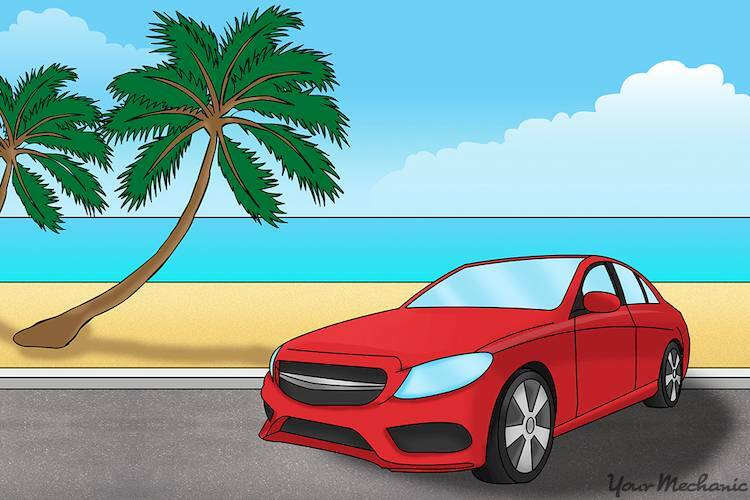 Q: When it's hot outside, the car will overheat after driving a long distance. It doesn't do it in cold weather. Q: How do you reset the Maintenance Minder?